This book illustrates the artist and designer’s career from his first ephemeral, outdoor ‘Field of Light’ in Long Knoll Field, Wiltshire, to the the artist’s exhibitions at Eden Project, V&A, Holbourne Museum, Waddesdon Manor, and his more recent exhibition at Cheekwood Botanical Garden and Museum of Art in Nashville, Tennessee, USA. 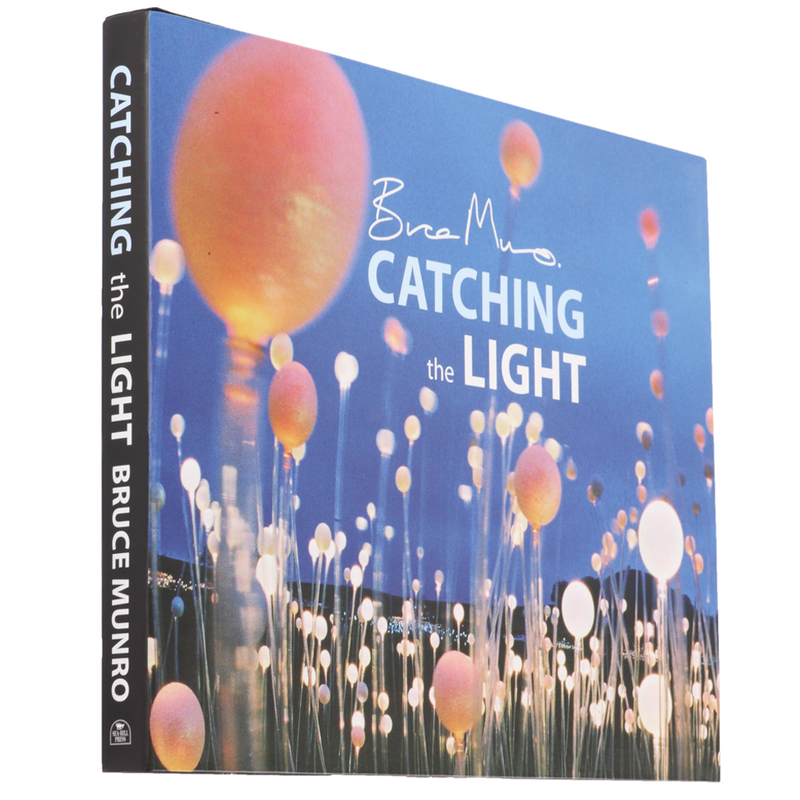 Bruce Munro describes the inspiration and meaning behind his illuminated large-scale installations and shimmering luminaires, chandeliers, and sculptures. This book includes an essay by awardwinning art critic and art historian Dr. Richard Cork, who offers insight into Munro, his work, and his life history. Munro’s honored place amongst notable artists is highlighted in the Foreword, written by Lord Rothschild, a major figure in the worlds of art and philanthropy.